hooligan to bring second storm to ucla with adaptation of "Singing in the rain"
"Yellow raincoats, high-pitched voices and “talkies” will usher in HOOLIGAN Theatre Company’s fall season. ​The company will perform a stage adaptation of the 1952 film “Singin’ in the Rain” at the Ralph Freud Playhouse starting Friday. The film chronicles the transition of silent-film costars Don Lockwood and Lina Lamont to talking films. Don struggles with the need to cross over to speaking films to further his career while Lina attempts to maintain stardom despite her unbearable voice. Director Jakob Garberg, a third-year English student, said even though the adaptation features the same plot and music as the film, some aspects, including personal performances and modernized dances, were adapted for the stage." Read the rest of the Daily Bruin article here. Harris, a fourth-year economics student, plays Deloris Van Cartier, a nightclub dancer who is forced to abandon her love for performing and embrace life as a nun after witnessing her gangster boyfriend commit murder. While Deloris initially struggles to accept the conservative rules set by the Mother Superior, she eventually finds a way to bring her old flair for performance into the convent by becoming the choir director. 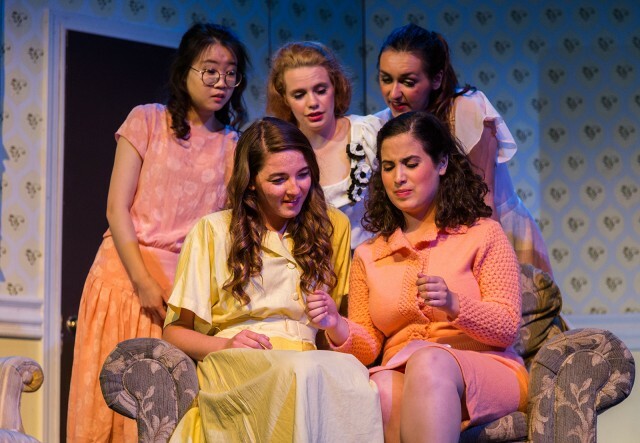 HOOLIGAN’s production, which will run Friday through Sunday at Schoenberg Hall, follows the national tour rendition of “Sister Act” but adapts design and musical elements along the way. "HOOLIGAN Theatre Company’s production of “The Little Mermaid” will take place both under the sea and under the stars. Sylvia Camacho, a first-year English student who plays Ariel in the show, said some of her earliest memories come from her experiences singing in a church choir. Camacho never formally took vocal lessons; however, singing has always been a part of her life, making her in some ways similar to Ariel, the mermaid princess whose voice is the driving force in the musical’s plot.​"
In addition to a heavy amount of dancing, the show deals with themes of violence and genocide in 1930s Germany. 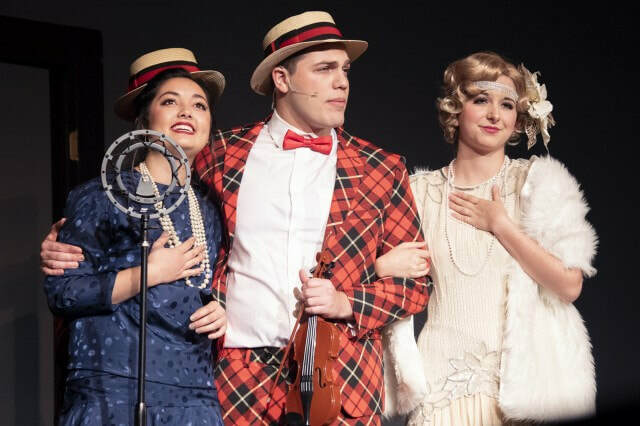 “Cabaret,” which runs Friday and Saturday at Schoenberg Hall, tells the fictional story of the American writer Clifford Bradshaw who moves to Germany prior to World War II and becomes involved with Sally Bowles, a dancer at the Kit Kat Klub. As the Nazi party rises to power, Berlin society divides around the issue of how to respond to the new regime." ​"Sara Gilbert cried before anything happened onstage the first time she stepped into a Broadway theater to see 'Miss Saigon' in New York. HOOLIGAN Theatre Company’s production of “Stage Door” centers on Gilbert’s character Terry Randall as she and other women at a boarding house in 1930s New York try to succeed on Broadway."